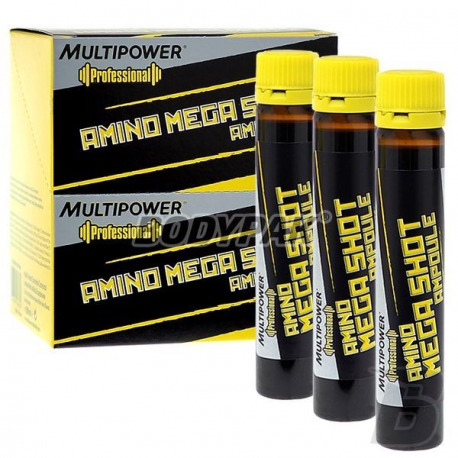 ShotsMultipower Professional Amino Mega Shot - 20 amp. Multipower Professional Amino Mega Shot - 20 amp. Professional Amino Mega Shot - The strongest amino acids in the liquid. Reinforced addition of such amino acids and BCAA, L-arginine, L-lysine. Impossible is both muscle growth and protection of muscles while reducing body fat when the body lacks protein, or even one of its amino acids! If the body does not have enough amino acids - uses those stored in the form of muscle. Therefore both intensive training and diet reduction require additional supplementation of amino acids to make up their deficiencies caused by training or low-protein diet and protect muscles from breakdown. You train? You are on a diet? 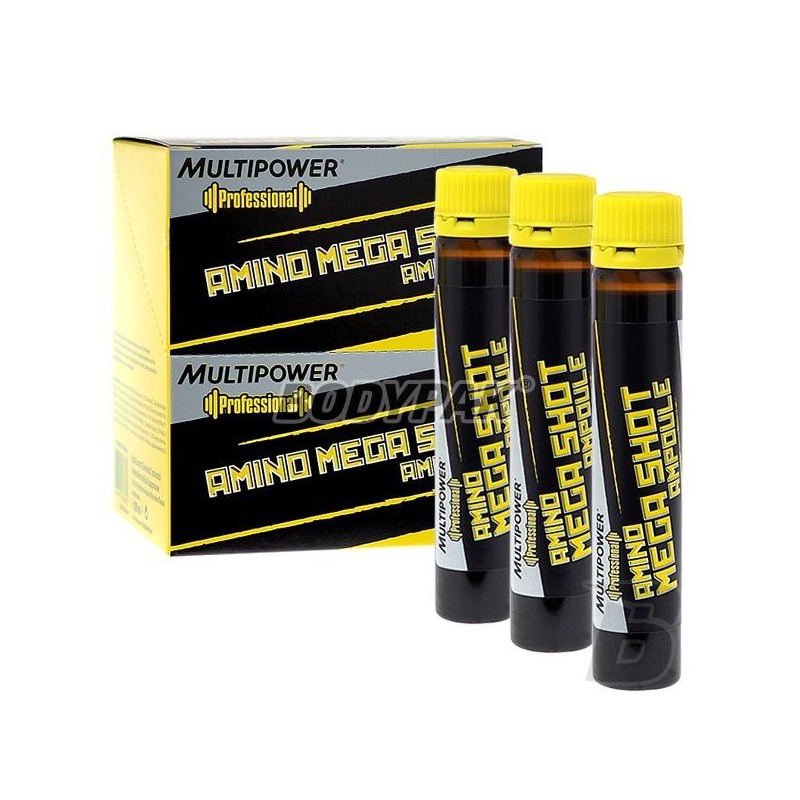 Use the supplementation of amino acids in the liquid Multipower Amino Mega Shot.